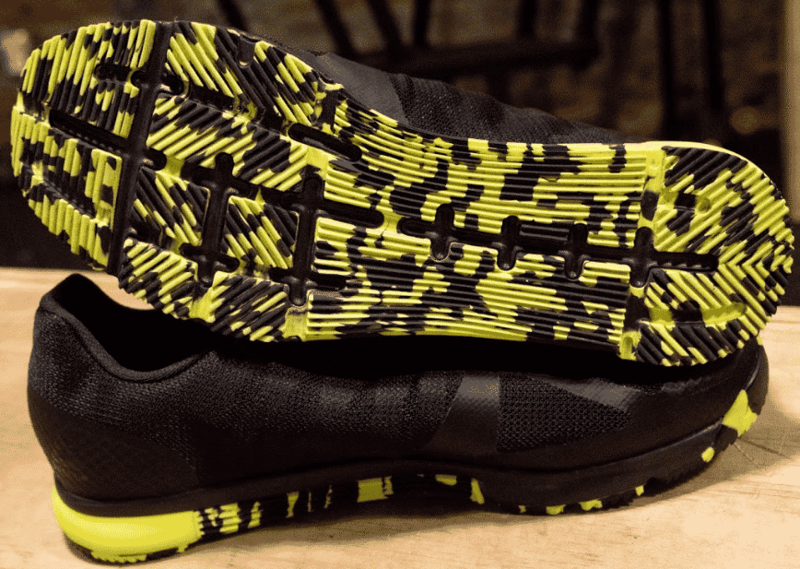 Home » Reebok Speed TR Review — Best for Speed Training? Reebok Speed TR Review — Best for Speed Training? When it comes to cross training shoes and Reebok, many athletes associate WODs, metabolic conditioning workouts, and versatile workouts with the Reebok Nano. And while the Nano has definitely staked its claim as one of the most widely used cross training shoes on the market, it’s certainly not the only cross training model Reebok creates. 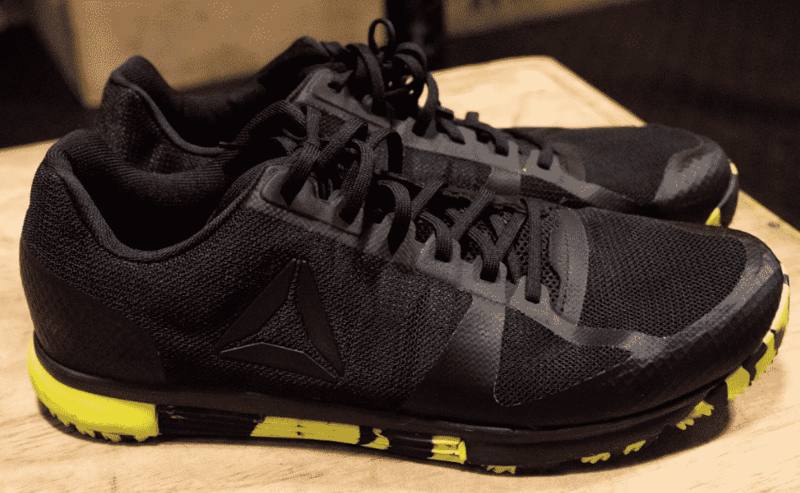 In comes the Reebok Speed TR, a versatile model that’s quietly flown in on the coattails of the Reebok CrossFit® Nano. At the heart of its construction the Speed TR offers plenty of attributes to assist athletes through cross training style workouts, but more towards the roots of the shoe its claim to the market is a background for speed style training. 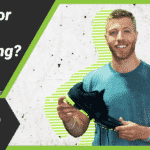 Speed training could be defined in multiple ways, and we chose to assess how this shoe worked with sprints, change of direction, and jumping focused movements. The Reebok Nano is often my go-to Reebok cross training shoe, so I was curious how the Speed TR compared in the gym. And is it a good shoe for CrossFit®-style workouts? A cost efficient cross-training shoe that's designed for both lifting and running workouts. The Reebok Speed TR differentiates itself from the Nano in more than a couple areas of construction. For starters, the upper material is CORDURA®, which is a durable lightweight material Reebok uses for multiple articles of their workout focused lines of products. This material is promoted to stretch decently well, resist abrasion, and provide breathability. Personally, I liked the CORDURA® and thought it was a nice change up from the Nano 8’s FlexWeave and the normal mesh that other cross trainers offer. It made the Speed TR very light and one of the more breathable cross training options I’ve tried. There are six eyelets running up the shoe and each eyelet has a little piece of leather extending out from the mid-shoe, so it helps enclose the tongue a little better. In addition, there’s an extra strip of leather around the eyelets, which is a nice sign for durability. On the mid and outsole, there’s a soft EVA, and that provides a bit of responsiveness, but also a good base to lift on. For additional context about EVA, some lifting shoes on the market use high density EVA as their primary material for their elevated heels. The heel has a firmer piece of material, which feels to be a solid layer of TPU, and in my opinion, that’s a nice touch to add stability for lifts. Instead of the normal plastic heel cup that the Nano offers, the Speed TR has an enclosed reinforcement, and you can it where the leather covers the heel. The tongue and material around the heel are both a little thicker with additional cushion. I liked this touch because it helps provide a little more to the shoe in the areas it needs it most (tongue for maintaining tightness/comfort & heel for lateral support). Since the CORDURA® is so light on the sides and the toe of the shoe, I think you’ll be pleasantly happy with this additional material. To test this shoe’s performance, I added a few different movements to our previous cross training shoes reviews. Since this shoe is focused towards speed training, I really focused on sprinting, stop/start movements, lateral agility, and jumping. Granted, I lifted in this shoe, too, but a little less than the Nike Metcon 4 and Reebok Nano 8. In terms of sprinting, stop/start drills, and lateral agility, I was pleasantly surprised by this model. It comes in at a weight of 8.5 ounces, which is very light, so I had high expectations for the shoe to feel weightless on my foot. 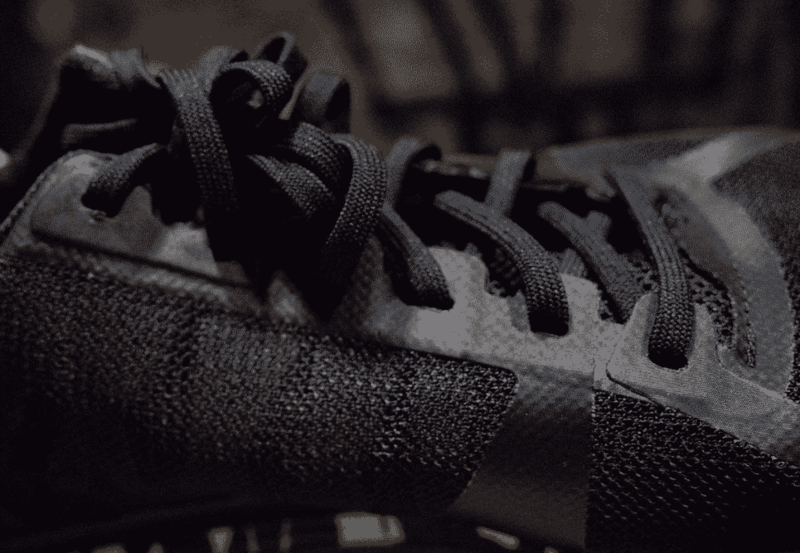 For sprints and stop/start drills, I really enjoyed how the CORDURA® moved with my foot. For lateral movements, I liked this model for the flexibility it offered, but the low-cut design may be a problem for those who like a little extra support. In my opinion, I thought the shoe performed well in lateral movements, but I also played hockey growing up, so I’m used to working on my lateral training, and don’t need much support to begin with. The jump tests were also solid for this shoe. These shoes are lightweight so they don’t feel big and heavy on the feet, but that’s not what earned their keep in my opinion. The wave-like outsole material provides a ton of grip on boxes, which I was a big fan of. This also suggest these shoes will work just fine if you’re outside on turf, cement (which I tested), and gravel. For lifts, I capped my sessions with high-rep squats at 225 lbs, deadlifts at 315 lbs, and power cleans at 185 lbs. These shoes performed well under all of these weights, and I think they’d serve you pretty well going heaver than I did. Although, keep in mind that their focus is on versatility/speed, and not specifically all-out max lifts. Bonus movement, rope climbs. Since these shoes don’t have an extended midsole on the lateral and medial side of the shoe, I wanted to see how they’d work for rope climbs and those who use their feet a lot for climbing. The shoes were a little slicker than the Nano, so if you need a lot of assistance from your shoes when climbing, that’s something to consider with this model. Throughout all of my tests, I didn’t have any early breakdown of these shoes. The CORDURA® material is designed to stretch and resist abrasion, and I thought it did a pretty good job at that. They felt somewhat slick on the rope, so the material, in my opinion, won’t catch on many objects and fray easily. 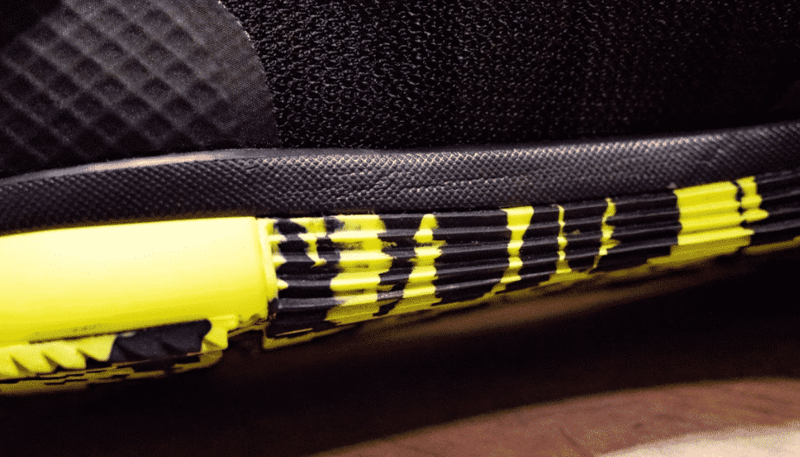 The outsole and midsole are also attached well, so the bottom of the shoe doesn’t feel as though it’s going to peel off like some shoes can when running a lot. For speed training, I think these could be a good bet for lasting a while. My only long-term durability concern for this model would come along with the shoe stretching over time. It’s a lightweight shoes with a minimalist construction, and that worries me for long duration wear and tear with the outer shoe and heel breaking down (stretching). 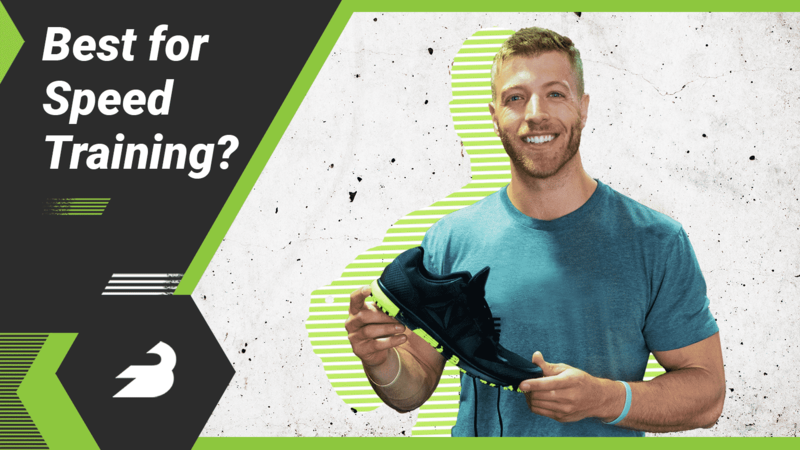 This shoe isn’t marketed as one of the most stable cross training shoes on the market, it’s marketed to be a versatile option for training and speed work. If you need a truly stable option for maximal lifts and like Reebok, then the Nano might be a better bet, but this shoe held its own for stability. The 3mm drop, EVA midsole, and tougher heel make it a solid choice for someone concerned about any form of midsole compression. I’d rank this shoe as a B (potentially B+) for stability. It’s not the most stable cross training shoe on the market, but it doesn’t claim to be, so I think it performed well for what its purpose is. In terms of running, it provides adequate support, and I think many would be pleased with the stability it comes with. Yet, if you’re running truly long distances (8+ miles), then this may not provide with the feeling you’re looking for. One of the best parts about this shoe is the price tag. This shoe comes in at a price between $80.00 – $100.00, which is a cost efficient option for cross training shoes. If you need a shoe for speed work, agility training, or cross training, then this is honestly a good option for the money. Plus, the shoe provided some solid signs for long-term durability. The Reebok Speed TR definitely held its own across all of my tests. I was most interested in how it compared to the Reebok Nano, and I thought it did a solid job at being a viable cross training option. Not to mention, the price is a decent amount lower than what the new Nano models ask for. My only concern could be the lack of full stability, but that’s an individual concern that should be assessed before purchasing.